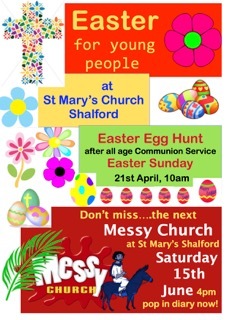 Welcome to our church of St. Mary the Virgin, Shalford, with St. Michael’s, Peasmarsh. We aim to be a welcoming community of people seeking to understand and live out our Christian faith in a modern and inclusive way. Our congregations include people from a wide age group, worshipping together in lively yet traditional services. We always welcome newcomers who wish to come along. As a recent visitor said, “we felt really at home at St. Mary’s and received a fantastic welcome”. 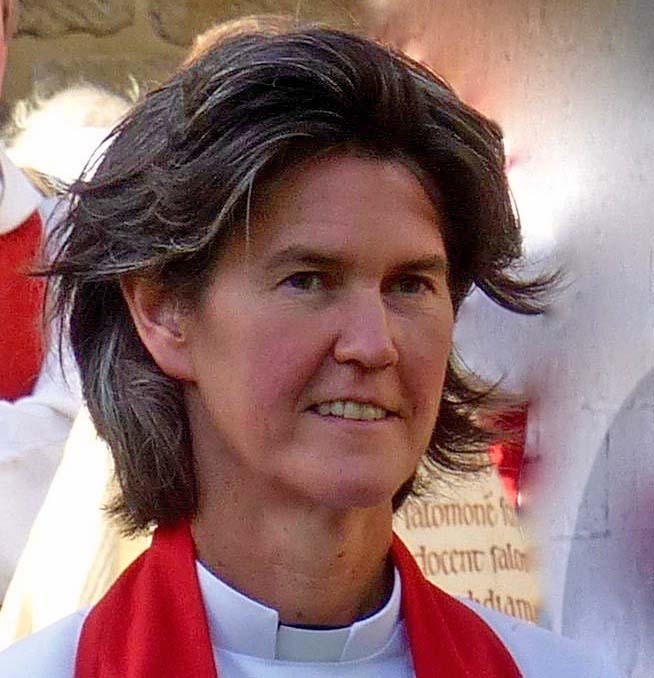 Our new Vicar, Rev Sarah Lloyd, was installed on 19th March. Contact details are here. 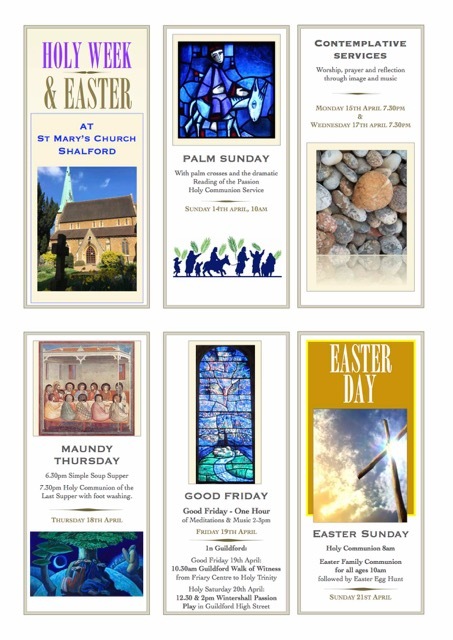 For full information on our Easter services click here or here for a larger version (PDF). Young people are especially welcome - please click here. On Wednesday mornings why not join us for Coffee, Cake and Conversation! For our detailed monthly service information, along with upcoming special events, please click on the Church Calendar on the leftor see our monthly Newsletter here (PDF). Why not become a bellringer?